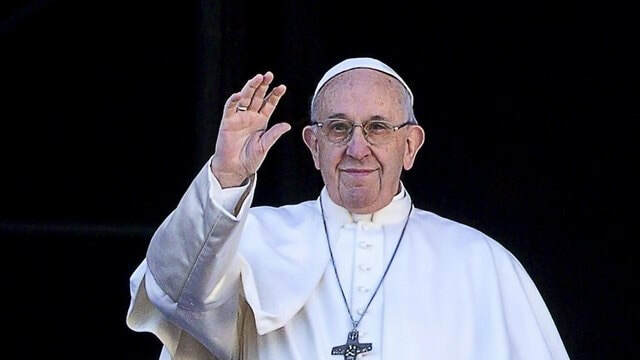 Pope Francis offered a Christmas wish for fraternity among people of different faiths, races or ideas, describing the world's differences as a richness, not a danger, and calling for political solutions to end wars in Syria, Yemen and elsewhere. He singled out the Israel-Palestinian conflict, which he said "has rent the land chosen by the Lord." "O little town of Bethlehem/How still we see thee lie/Above thy deep and dreamless sleep/The silent stars go by," runs the famous Christmas carol sung all over the English-speaking world as it celebrates Christmas. On Christmas Eve midnight mass will sound out from Bethlehem's Church of the Nativity, the legendary birthplace of Jesus Christ, proclaiming he will bring "peace to men on earth". Nothing could be further from the truth than the image of a sweet, untroubled Bethlehem as depicted in a carol originally created by the pious imagination of a Victorian Western-Christian. Generations of Christian children have been brought up on it, and its mythical power is such that few of them realize what or even where Bethlehem is. A well-educated English friend I had known for years was recently surprised to learn that Bethlehem was located in Palestine. In her mind the town was more a legend than an actual place, and connected to Jews, if to anyone. That idea is still widespread and has been instrumental in keeping Western-Christians disengaged from the real Bethlehem and unsupportive of its struggle for survival. The city I saw on a visit earlier this year was a travesty of the place the Christmas carol depicts and an indictment of Western Christianity's abject failure to sustain one of its holiest shrines. In today's Bethlehem "dreamless sleep" is more like a nightmare, and the town can only "lie still" when Israel's occupation ends. Bethlehem and its outlying villages of Beit Jala and Beit Sahour have been traditionally the most Christian of Palestine's places, even though Bethlehem has a Muslim majority now. Until Israel's occupation in 1967 the city had been an important social, cultural and economic hub, and one of Palestine's most ancient localities. Its name "Beit Lahem" goes back to Canaanite times, when it was a shrine to the Canaanite god, Lahm or Lahem. Its architecture is testament to its rich history: Roman and Byzantine, when the Empress Helena had the Church of the Nativity built over the supposed cave of Jesus' birthplace in 327; followed by the Muslim conquests of 637, and then the crusader occupation from 1099 until ended by Saladin in 1187; the succeeding Ottomans built the city's walls in the early 16th century, their rule terminated by the British Mandate from 1922 to 1948. In 1995 Bethlehem was transferred to Palestinian Authority control, although it remains under Israel's overall rule. Despite their variation, none of these preceding historical periods was ever associated with the brutal vandalism and destructiveness of Israel's current occupation. Leaving Jerusalem southwards to travel the nine kilometer distance to Bethlehem, I took a wrong turn and found myself on a fast, modern highway without another Palestinian driver in sight. I had stumbled by accident onto a Jews-only settler bypass road, one of two that skirt Bethlehem and connect with its encircling settlements. I soon realized the purpose of the operation: To pretend that no one else exists in the area but Jews. There are 22 Israeli settlements encircling Bethlehem, cutting off its exits and confiscating its agricultural land. 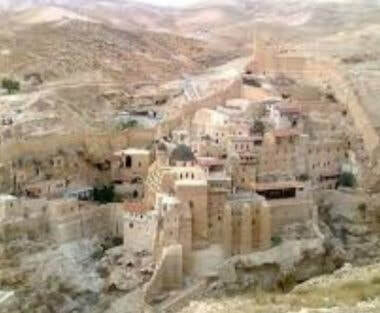 They glower down from the surrounding hills and house more settlers than all of Bethlehem and its neighborhoods. To the north is Har Homa, a settlement that until 2000 was an ancient, densely wooded hill called Jabal Abu Ghneim. Israel uprooted the trees and replaced them with a colony of dreary, box-like houses, which it threatened to turn into a Bethlehem look-alike for tourists. Nokidim, to the east, is the current residence of Israel's hard-line former defense minister, Avigdor Lieberman. Since 2015 Israel has closed off Bethlehem's fertile Cremisan Valley to its Palestinian owners, and announced in June of this year a massive settlement expansion along the route between Jerusalem and Bethlehem. Rachel’s tomb, Bethlehem’s historic landmark on the main Jerusalem-Bethlehem road and an area traditionally buzzing with shops and restaurants, is now blocked off by the wall and reserved exclusively for Jews. Muslim worshippers who venerated the tomb (and built it) cannot go there. It is a sad place, deserted and lifeless. In the shadow of the wall most businesses have closed and as the noose tightens around Bethlehem, none will be left. Israel's relentless penetration to the heart of Bethlehem is unmistakable. Bethlehem is deliberately isolated behind the formidable separation barrier, surrounded by checkpoints, and its economy strangulated. Its main source of prosperity had been tourism with two million annual visitors and a thriving souvenir market of classic olive wood and mother-of-pearl carvings. It was also a rich agricultural area with a successful wine industry. But most of its land has been confiscated, and draconian restrictions on movement to and from Bethlehem have reduced tourism and pilgrim numbers drastically. Today its population of 220,00, including 20,000 refugees, have the highest unemployment rate in the occupied territories, second only to that of Gaza. Sitting in the "cafe" outside the Walled Off Hotel at the entrance to Bethlehem, I had a vivid experience of what Israel's occupation feels like. The hotel is in effect a piece of installation art, created by the British artist, Banksy, to highlight the plight of Bethlehem. The only view from the hotel windows is of Israel's hideous eight-meter wall, whose huge grey slabs are a mere car's width away. Stretching forward, you can almost touch it. I remember how its sinister watchtowers and surveillance cameras bore down on me oppressively. It was a scene out of a horror film. To date, and despite church delegations, papal visits, and public expressions of concern, nothing Christians have done has halted or reversed Israel's destruction of a city so uniquely holy to Christendom. 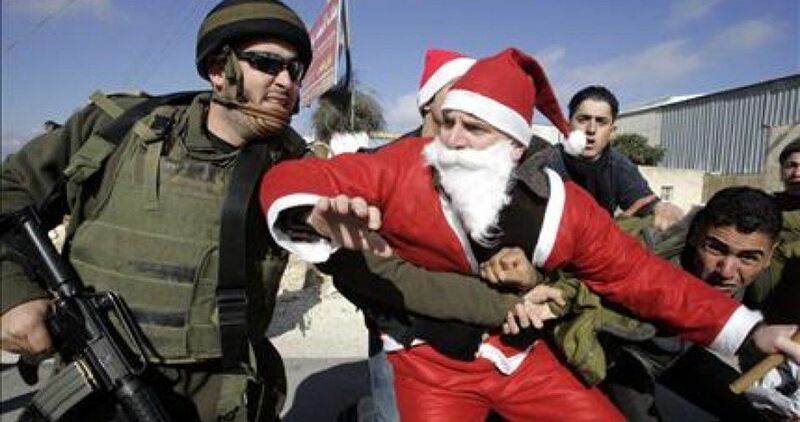 If they can do nothing to save Bethlehem, they can at least stop singing a carol that mocks its sad reality. 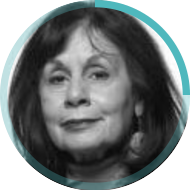 - Ghada Karmi is a Palestinian doctor, academic and author. Her article appeared in Middle East Eye. As the city of Nazareth, in the northern part of the country, prepares for the celebration of Christmas, extremist Israelis on Monday,spray-painted hateful, racist anti-Arab slogans in the Arab majority city. They wrote in Hebrew, “Death to Arabs“, and “The land of Israel belongs to the people of Israel“, witnesses told WAFA News Agency. These acts are reminiscent of attacks known as ‘price tag attacks’ where extremist Israelis and illegal colonialist Israeli settlers vandalize or otherwise damage the property of Palestinians in Israel and the occupied Palestinian territories. The vandalism and racism targeting Palestinians is a regular occurrence in the city of Nazareth, Kafr Qassem, and other Palestinian towns located in the land now known as Israel. Residents of Nazareth call for the incitement by Israeli politicians against Christian, Muslims and other Arabs to stop, and blamed the Israeli police for not protecting the Palestinian population inside Israel. Nazareth’s Palestinian population as of 2017 was 76,551, according to Wikipedia. Of this population, 69% are Muslim, and 31% are Christian — both are discriminated against in Israel and in occupied Palestine by Israeli policies and laws, as well as by racist acts carried out by right-wing Israeli extremists. 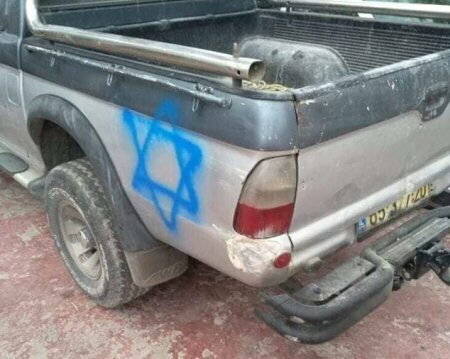 No Israelis were apprehended for the hate graffiti, and no Israeli police investigation has been launched, despite the requests by Palestinians in Nazareth that the Israeli police investigate the incident. An international organization concerned with defending the rights of Christians in the Middle East and Northern Africa on Saturday said that Israel has not issued permits to Christians in Gaza to visit the West Bank, especially Bethlehem, during the Christmas holiday. 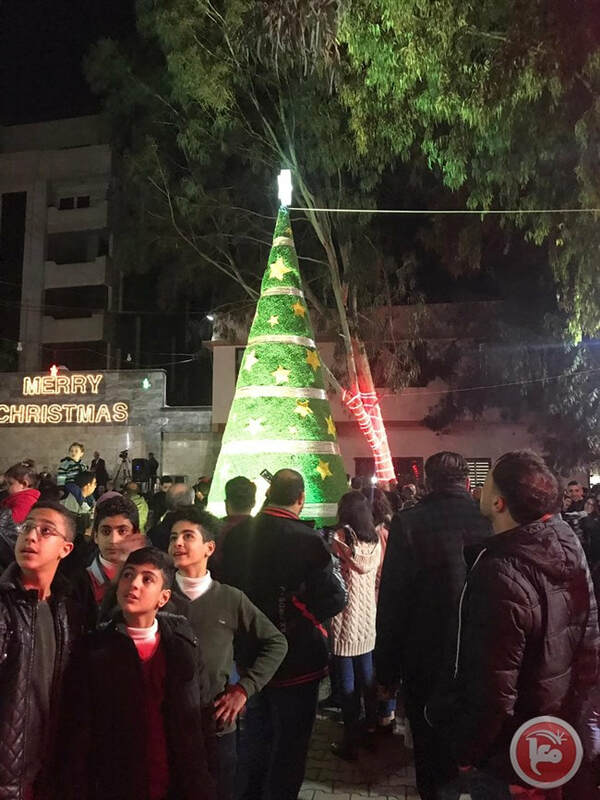 The organization issued a statement saying that Gaza Christians have not been given the necessary permits to enter the West Bank to participate in the Christmas celebrations or visit their relatives. It affirmed that all the Christians who had applied for permits this year were rejected except those over the age of 55. The statement strongly denounced the Israeli measures preventing Gaza Christians from practicing their religious freedom. According to recent statistics, the Christian community in the Gaza Strip is getting smaller with about 730 Christians living currently in the enclave, most of whom belong to the Greek Orthodox Church.